The Industrial Revolution was the transition to new manufacturing processes in the period from about 1760 to sometime between 1820 and 1840. This transition included going from hand production methods to machines, new chemical manufacturing and iron production processes, improved efficiency of water power, the increasing use of steam power, the development of machine tools and the rise of the factory system. Textiles were the dominant industry of the Industrial Revolution in terms of employment, value of output and capital invested; the textile industry was also the first to use modern production methods. The Industrial Revolution began in Great Britain and most of the important technological innovations were British. The social, economic and political changes in the previous centuries in Great Britain contributed. Whereas absolutism stayed the normal form of power execution through most parts of Europe, institutions ensured property rights and political safety to the people in the UK after the Glorious Revolution of 1688. A change in marrying patterns to getting married later made people able to accumulate more human capital during their youth, thereby encouraging economic development. 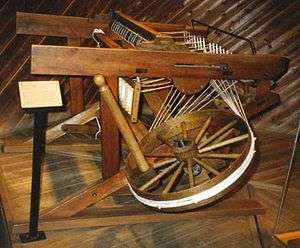 The 1698 Savery Engine (piston-less steam pump)– the world's first commercially useful steam powered device: built by Thomas Savery. 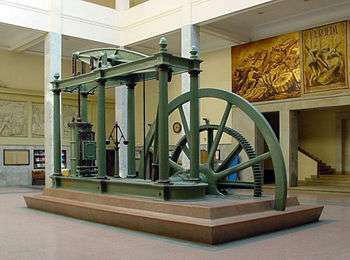 The development of the stationary steam engine was an important element of the Industrial Revolution; however, during the early period of the Industrial Revolution, the majority of industrial power was supplied by water and wind. In Britain by 1800 an estimated 10,000 horsepower was being supplied by steam. By 1815 steam power had grown to 210,000 hp. Small industrial power requirements continued to be provided by animal and human muscle until widespread electrification in the early 20th century. These included crank, treadle powered and horse-powered workshop and light industrial machinery. 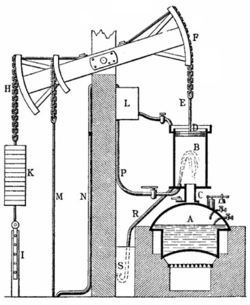 Newcomen's steam powered atmospheric engine was the first practical piston steam engine. Subsequent steam engines were to power the Industrial Revolution. A fundamental change in working principles was brought about by Scotsman James Watt. In close collaboration with Englishman Matthew Boulton, he had succeeded by 1778 in perfecting his steam engine, which incorporated a series of radical improvements, notably the closing off of the upper part of the cylinder thereby making the low pressure steam drive the top of the piston instead of the atmosphere, use of a steam jacket and the celebrated separate steam condenser chamber. The separate condenser did away with the cooling water that had been injected directly into the cylinder, which cooled the cylinder and wasted steam. Likewise, the steam jacket kept steam from condensing in the cylinder, also improving efficiency. These improvements increased engine efficiency so that Boulton & Watts engines used only 20–25% as much coal per horsepower-hour as Newcomen's. 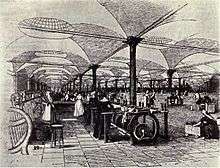 Boulton and Watt opened the Soho Foundry, for the manufacture of such engines, in 1795. Until about 1800 the most common pattern of steam engine was the beam engine, built as an integral part of a stone or brick engine-house, but soon various patterns of self-contained rotative engines (readily removable, but not on wheels) were developed, such as the table engine. Around the start of the 19th century, the Cornish engineer Richard Trevithick, and the American, Oliver Evans began to construct higher pressure non-condensing steam engines, exhausting against the atmosphere. High pressure yielded an engine and boiler compact enough to be used on mobile road and rail locomotives and steam boats. 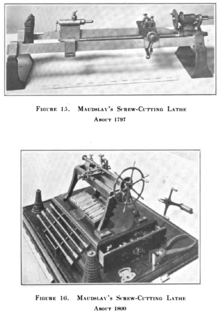 The impact of machine tools during the Industrial Revolution was not that great because other than firearms, threaded fasteners and a few other industries there were few mass-produced metal parts. In the half century following the invention of the fundamental machine tools the machine industry became the largest industrial sector of the economy, by value added, in the U.S.
Joseph Foljambe's Rotherham plough of 1730, was the first commercially successful iron plough. The threshing machine, invented by Andrew Meikle in 1784, displaced hand threshing with a flail, a laborious job that took about one-quarter of agricultural labour. :286 It took several decades to diffuse and was the final straw for many farm labourers, who faced near starvation, leading to the 1830 agricultural rebellion of the Swing Riots. 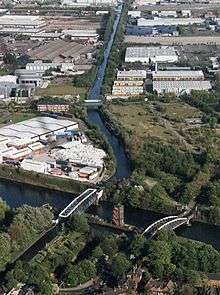 In the UK, canals began to be built in the late 18th century to link the major manufacturing centres across the country. Known for its huge commercial success, the Bridgewater Canal in North West England, which opened in 1761 and was mostly funded by The 3rd Duke of Bridgewater. From Worsley to the rapidly growing town of Manchester its construction cost £168,000 (£22,589,130 as of 2013), but its advantages over land and river transport meant that within a year of its opening in 1761, the price of coal in Manchester fell by about half. This success helped inspire a period of intense canal building, known as Canal Mania. New canals were hastily built in the aim of replicating the commercial success of the Bridgewater Canal, the most notable being the Leeds and Liverpool Canal and the Thames and Severn Canal which opened in 1774 and 1789 respectively. 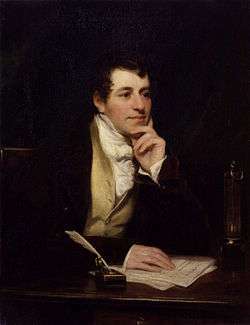 In Britain and the Netherlands, food supply had been increasing and prices falling before the Industrial Revolution due to better agricultural practices; however, population grew too, as noted by Thomas Malthus.> Before the Industrial Revolution, advances in agriculture or technology soon led to an increase in population, which again strained food and other resources, limiting increases in per capita income. This condition is called the Malthusian trap, and it was finally overcome by industrialisation. In The Condition of the Working Class in England in 1844 Friedrich Engels described backstreet sections of Manchester and other mill towns, where people lived in crude shanties and shacks, some not completely enclosed, some with dirt floors. These shanty towns had narrow walkways between irregularly shaped lots and dwellings. There were no sanitary facilities. Population density was extremely high. Eight to ten unrelated mill workers often shared a room, often with no furniture, and slept on a pile of straw or sawdust. Toilet facilities were shared if they existed. Disease spread through a contaminated water supply. 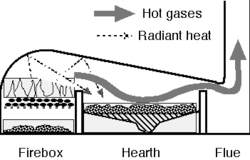 Also, people were at risk of developing pathologies due to persistent dampness. The industrial revolution began about 1870 as Meiji period leaders decided to catch up with the West. The government built railroads, improved roads, and inaugurated a land reform programme to prepare the country for further development. It inaugurated a new Western-based education system for all young people, sent thousands of students to the United States and Europe, and hired more than 3,000 Westerners to teach modern science, mathematics, technology, and foreign languages in Japan (O-yatoi gaikokujin). During the Industrial Revolution an intellectual and artistic hostility towards the new industrialisation developed, associated with the Romantic movement. Romanticism revered the traditionalism of rural life and recoiled against the upheavals caused by industrialization, urbanization and the wretchedness of the working classes. Its major exponents in English included the artist and poet William Blake and poets William Wordsworth, Samuel Taylor Coleridge, John Keats, Lord Byron and Percy Bysshe Shelley. The movement stressed the importance of "nature" in art and language, in contrast to "monstrous" machines and factories; the "Dark satanic mills" of Blake's poem "And did those feet in ancient time". Mary Shelley's novel Frankenstein reflected concerns that scientific progress might be two-edged. French Romanticisim likewise was highly critical of industry. The causes of the Industrial Revolution were complicated and remain a topic for debate, with some historians believing the Revolution was an outgrowth of social and institutional changes brought by the end of feudalism in Britain after the English Civil War in the 17th century. The Enclosure movement and the British Agricultural Revolution made food production more efficient and less labour-intensive, forcing the surplus population who could no longer find employment in agriculture into cottage industry, for example weaving, and in the longer term into the cities and the newly developed factories. The colonial expansion of the 17th century with the accompanying development of international trade, creation of financial markets and accumulation of capital are also cited as factors, as is the scientific revolution of the 17th century. 1 2 David S. Landes (1969). The Unbound Prometheus. Press Syndicate of the University of Cambridge. p. 40. ISBN 0-521-09418-6. 1 2 Lucas, Robert E., Jr. (2002). Lectures on Economic Growth. Cambridge: Harvard University Press. pp. 109–10. ISBN 978-0-674-01601-9. 1 2 Feinstein, Charles (September 1998). "Pessimism Perpetuated: Real Wages and the Standard of Living in Britain during and after the Industrial Revolution". Journal of Economic History. 58 (3): 625–58. doi:10.1017/s0022050700021100. Retrieved 6 May 2014. 1 2 Szreter & Mooney; Mooney (February 1998). 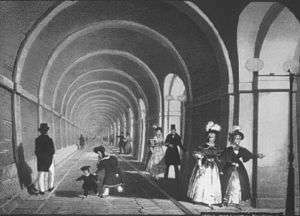 "Urbanization, Mortality, and the Standard of Living Debate: New Estimates of the Expectation of Life at Birth in Nineteenth-Century British Cities". The Economic History Review. 51 (1): 104. doi:10.1111/1468-0289.00084. Retrieved 6 May 2014. ↑ Taylor, George Rogers. 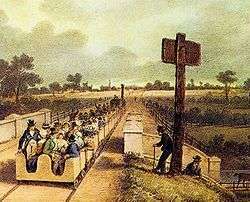 The Transportation Revolution, 1815–1860. ISBN 978-0-87332-101-3. No name is given to the transition years. 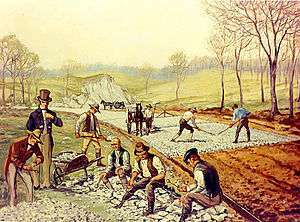 The Transportation Revolution began with improved roads in the late 18th century. 1 2 3 4 5 6 Roe, Joseph Wickham (1916), English and American Tool Builders, New Haven, Connecticut: Yale University Press, LCCN 16011753 . Reprinted by McGraw-Hill, New York and London, 1926 (LCCN 27-24075); and by Lindsay Publications, Inc., Bradley, Illinois, (ISBN 978-0-917914-73-7). ↑ Crouzet, François (1996). "France". In Teich, Mikuláš; Porter, Roy. The industrial revolution in national context: Europe and the USA. Cambridge University Press. p. 45. ISBN 978-0-521-40940-7. LCCN 95025377. ↑ Hudson, Pat (1992). The Industrial Revolution. London: Edward Arnold. p. 11. ISBN 978-0-7131-6531-9. ↑ Eric Bond; Sheena Gingerich; Oliver Archer-Antonsen; Liam Purcell; Elizabeth Macklem (17 February 2003). "The Industrial Revolution – Innovations". Industrialrevolution.sea.ca. Retrieved 30 January 2011. 1 2 3 4 5 6 David S. Landes (1969). The Unbound Prometheus. Press Syndicate of the University of Cambridge. p. 00. ISBN 0-521-09418-6. 1 2 David S. Landes (1969). The Unbound Prometheus. Press Syndicate of the University of Cambridge. p. 82. ISBN 0-521-09418-6. ↑ David S. Landes (1969). The Unbound Prometheus. Press Syndicate of the University of Cambridge. pp. 89–93. ISBN 0-521-09418-6. ↑ David S. Landes (1969). The Unbound Prometheus. Press Syndicate of the University of Cambridge. p. 218. ISBN 0-521-09418-6. ↑ Rosen, William (2012). The Most Powerful Idea in the World: A Story of Steam, Industry and Invention. University Of Chicago Press. p. 149. ISBN 978-0-226-72634-2. 1 2 David S. Landes (1969). The Unbound Prometheus. Press Syndicate of the University of Cambridge. p. 91. ISBN 0-521-09418-6. 1 2 3 Ayres, Robert (1989). "Technological Transformations and Long Waves" (PDF): 16–17. ↑ David S. Landes (1969). The Unbound Prometheus. Press Syndicate of the University of Cambridge. p. 63. ISBN 0-521-09418-6. 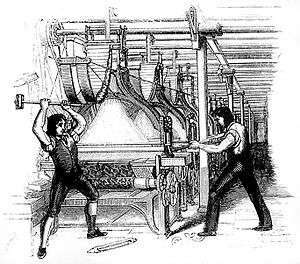 ↑ "You've Got Luddites All Wrong". vice.com. ↑ Gordon, Robert B (1996). American Iron 1607–1900. Baltimore and London: Johns Hopkins University Press. p. 156. ISBN 0-8018-6816-5. ↑ David S. Landes (1969). The Unbound Prometheus. Press Syndicate of the University of Cambridge. p. 92. ISBN 0-521-09418-6. ↑ Rosenberg, Nathan (1982). Inside the Black Box: Technology and Economics. Cambridge, New York: Cambridge University Press. p. 90. ISBN 0-521-27367-6. ↑ David S. Landes (1969). The Unbound Prometheus. Press Syndicate of the University of Cambridge. p. 104. ISBN 0-521-09418-6. ↑ Clow, Archibald; Clow, Nan L. (June 1952). "Chemical Revolution". Ayer Co: 65–90. ISBN 0-8369-1909-2. ↑ Misa, Thomas J. (1995). A Nation of Steel: The Making of Modern America 1965–1925. Baltimore and London: Johns Hopkins University Press. p. 243. ISBN 978-0-8018-6502-2. ↑ "The Rotherham Plow". Rotherham: The Unofficial Website. ↑ "The Rotherham Plow". Rotherham.co.uk. ↑ Atack, Jeremy; Passell, Peter (1994). A New Economic View of American History. New York: W.W. Norton and Co. p. 282. ISBN 0-393-96315-2. ↑ Rosen, William (2012). The Most Powerful Idea in the World: A Story of Steam, Industry and Invention. University Of Chicago Press. p. 127. ISBN 978-0-226-72634-2. ↑ Musson; Robinson (1969). Science and Technology in the Industrial Revolution. University of Toronto Press. p. 477. ↑ Donald Langmead. Encyclopedia of Architectural and Engineering Feats. ABC-CLIO. p. 37. ISBN 978-1-57607-112-0. Retrieved 15 February 2013. ↑ Fling, Harry M. (1868). Railroads of the United States, Their History and Statistics. Philadelphia: John. E. Potter and Co. pp. 12, 13. ↑ Crafts, N; Mills, Terence C. (1994). "Trends in Real Wages in Britain, 1750–1913". Explorations in Economic History. 31 (2): 176. doi:10.1006/exeh.1994.1007. ↑ Fogel, Robert W. (2004). 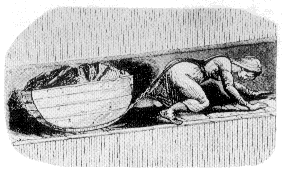 The Escape from Hunger and Premature Death, 1700–2100. London: Cambridge University Press. ISBN 0-521-80878-2. ↑ Malthus, Thomas (1798). An Essay on the Principle of Population (PDF). London. Retrieved 2016-02-12. ↑ Engels, Friedrich (1892). The Condition of the Working-Class in England in 1844. London: Swan Sonnenschein & Co. pp. 45, 48–53. ↑ "Life in Industrial Towns". ↑ Bar, Michael; Leukhina, Oksana (2007). "Demographic Transition and Industrial Revolution: A Macroeconomic Investigation" (PDF). Archived from the original (PDF) on 27 November 2007. Retrieved 5 November 2007. The decrease [in mortality] beginning in the second half of the 18th century was due mainly to declining adult mortality. Sustained decline of the mortality rates for the age groups 5–10, 10–15, and 15–25 began in the mid-19th century, while that for the age group 0–5 began three decades later . Although the survival rates for infants and children were static over this period, the birth rate & overall life expectancy increased. Thus the population grew, but the average Briton was about as old in 1850 as in 1750 (see figures 5 & 6, page 28). Population size statistics from mortality.org put the mean age at about 26. 1 2 3 4 5 6 7 8 9 10 11 Venning, Annabel (17 September 2010). "Britain's child slaves: They started at 4am, lived off acorns and had nails put through their ears for shoddy work. Yet, says a new book, their misery helped forge Britain". dailymail.co.uk. London. Retrieved 19 September 2010. ↑ "Testimony Gathered by Ashley's Mines Commission". 2008. Retrieved 22 March 2008. ↑ "The Life of the Industrial Worker in Nineteenth-Century England". 2008. Retrieved 22 March 2008. ↑ "General Strike 1842". Archived from the original on 9 June 2007. Retrieved 2007-06-09. From chartists.net. Retrieved 13 November 2006. ↑ "Human Population: Urbanization". Population Reference Bureau. Archived 26 October 2009 at the Wayback Machine. ↑ "Human Population: Population Growth: Question and Answer". Population Reference Bureau. Archived 8 October 2009 at the Wayback Machine. ↑ Muriel Neven and Isabelle Devos, 'Breaking stereotypes', in M. Neven and I. Devos (editors), 'Recent work in Belgian Historical Demography', in Revue belge d'histoire contemporaine, XXXI, 2001, 3–4, pages 347–359 FLWI.ugent.be Archived 29 October 2008 at the Wayback Machine. ↑ "European Route of Industrial Heritage". En.erih.net. Retrieved 19 August 2013. ↑ Atack, Jeremy; Passell, Peter (1994). A New Economic View of American History. New York: W.W. Norton and Co. p. 469. ISBN 0-393-96315-2. ↑ Taylor, George Rogers (1969). The Transportation Revolution, 1815–1860. ISBN 978-0873321013. ↑ "History". Bank of Japan. Retrieved 5 May 2015. ↑ Morison, Elting E. (1966). Men, Machines and Modern Times. Cambridga, Ma and London, UK: The M.I.T Press. ↑ Steven Kreis (11 October 2006). "The Origins of the Industrial Revolution in England". Historyguide.org. Retrieved 30 January 2011. ↑ "Scientific Revolution". Microsoft Encarta Online Encyclopedia 2009. Archived 28 October 2009 at the Wayback Machine. 31 October 2009. Archived 28 October 2009 at the Wayback Machine. ↑ Fullerton, Ronald A. (January 1988). "How Modern Is Modern Marketing? Marketing's Evolution and the Myth of the "Production Era"". The Journal of Marketing. New York City, NY: American Marketing Association. 52 (1): 108–125. doi:10.2307/1251689. JSTOR 1251689. ↑ "Technics & Civilization". Lewis Mumford. Retrieved 8 January 2009. ↑ Mott-Smith, Morton (1964) [Unabridged and revised version of the book first published by D. Appleton-Century Company in 1934 under the former title: The Story of Energy]. The Concept of Energy Simply Explained. New York: Dover Publications, Inc. pp. 13–14. ISBN 0-486-21071-5. ↑ Eric Bond; Sheena Gingerich; Oliver Archer-Antonsen; Liam Purcell; Elizabeth Macklem (17 February 2003). 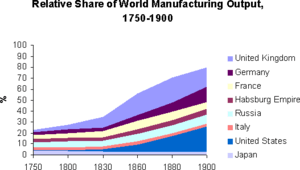 "The Industrial Revolution – Causes". Industrialrevolution.sea.ca. Retrieved 30 January 2011. ↑ "Cobb-Douglas in pre-modern Europe1 – Simulating early modern growth" (PDF). (254 KB) Jan Luiten van Zanden, International Institute of Social History/University of Utrecht. May 2005. Retrieved January 2007. ↑ David S. Landes (1969). The Unbound Prometheus. Press Syndicate of the University of Cambridge. pp. 20–32. ISBN 0-521-09418-6. ↑ South Asian History -Pages from the history of the Indian subcontinent: British rule and the legacy of colonisation. Rajni-Palme Dutt India Today (Indian Edition published 1947). Retrieved January 2007. Archived 27 January 2007 at the Wayback Machine. ↑ Kiely, Ray (November 2011). "Industrialization and Development: A Comparative Analysis". UGL Press Limited: 25–26. ↑ Digital History; Steven Mintz. "Was slavery the engine of economic growth? Digital History". Digitalhistory.uh.edu. Archived from the original on 19 February 2014. Retrieved 30 January 2011. ↑ The Industrial Revolution by Pat Hudson, pg. 198. Books.google.com. 1992. ISBN 978-0-7131-6531-9. Retrieved 30 January 2011. ↑ "The Lunar Society". Archived from the original on 7 February 2008. Retrieved 2008-02-07. CS1 maint: BOT: original-url status unknown (link) at Moreabout, the website of the Birmingham Jewellery Quarter guide, Bob Miles. ↑ Foster, Charles (2004). Capital and Innovation: How Britain Became the First Industrial Nation. Northwich: Arley Hall Press. ISBN 0-9518382-4-5. Argues that capital accumulation and wealth concentration in an entrepreneurial culture following the commercial revolution made the industrial revolution possible, for example. Ashton, Thomas S. (1948). "The Industrial Revolution (1760–1830)". Oxford University Press. Clark, Gregory (2007). A Farewell to Alms: A Brief Economic History of the World. Princeton University Press. ISBN 0-691-12135-4. Kindleberger, Charles Poor (1993). A Financial History of Western Europe. Oxford University Press US. ISBN 0-19-507738-5. Landes, David S. (1969). The Unbound Prometheus: Technological Change and Industrial Development in Western Europe from 1750 to the Present. Cambridge, New York: Press Syndicate of the University of Cambridge. ISBN 0-521-09418-6. McNeil, Ian, ed. (1990). An Encyclopedia of the History of Technology. London: Routledge. ISBN 0-415-14792-1. Toynbee, Arnold (1884). Lectures on the Industrial Revolution of the Eighteenth Century in England. ISBN 1-4191-2952-X. Retrieved 2016-02-12. McCloskey, Deirdre (2004). "Review of The Cambridge Economic History of Britain (edited by Roderick Floud and Paul Johnson)". Times Higher Education Supplement. 15 (January). Retrieved 2016-02-12.